The tricycle is one of the most popular mode of transportation in the Philippines found in most cities and towns. 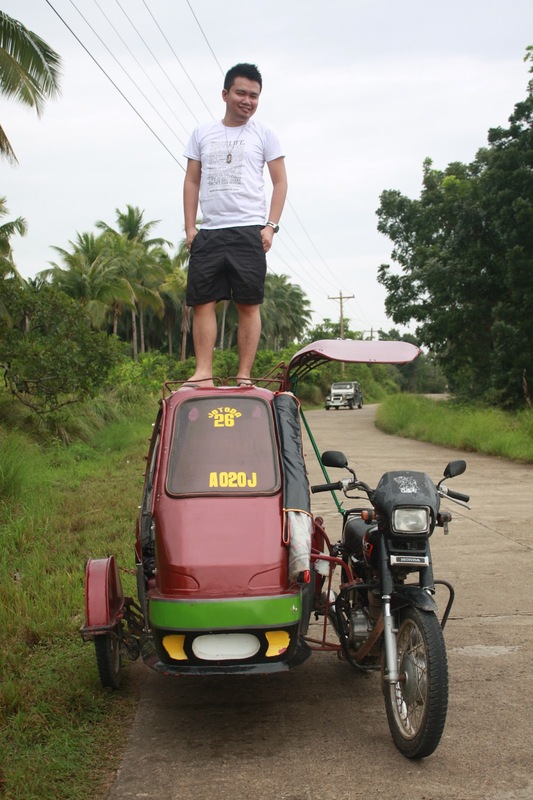 It is the Philippines version of Thailand’s famous tuk-tuk. It is a little, roofed sidecar bolted to a motorcycle. The standard fare for most provincial towns is about P8 per head. Please beware of tricycle drivers who will try to give you an over-priced fare especially when they notice that you are a visitor. Do your research, the internet will provide you at least a rough estimate of the transportation cost. Tricycles that wait in front of restaurants, hotels, airports and tourist spots will attempt to charge you three to 10 times for a special/chartered trip. You can avoid these by walking towards the main road and get a passing tricycle that will charge you the usual/regular rate. In some areas, non-motorized tricycles are also being used locally known as padyak – a sidecar bolted to a bicycle. These are good to use when you are traveling on a short distance.